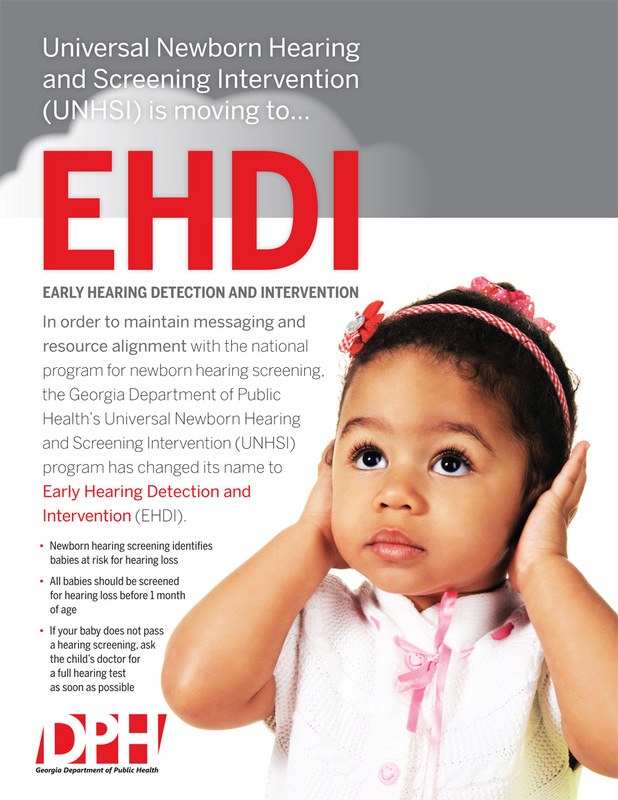 The mission of Early Hearing Detection and Intervention (EHDI), formerly called Universal Newborn Hearing Screening and Intervention, is to provide a comprehensive system of universal newborn hearing screening and assure early detection and intervention for hard of hearing and deaf children. 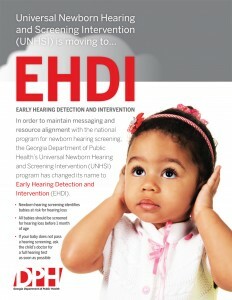 Every newborn in the state of Georgia should have a hearing screening performed before they leave the hospital. Repeat hearing screenings can be done at your local health department, doctor’s offices, or at the hospital, before the newborn turns three months old. Testing is safe and easy on the newborn and takes very little time. Many resources exist to educate and assist families with a hearing impaired child. For a list of area facilities click here or see the listings below. The Coastal Health District’s Children’s Special Services program is also available to help. For more information call 912-644-5804 or e-mail Mesha.Brown@dph.ga.gov.